Dreaming of moving to Australia for a new life in the sun? Stop making excuses for why you can’t emigrate. You can migrate to Australia in six steps. If you’re looking for a moving checklist, check out my Ultimate Emigration Checklist. 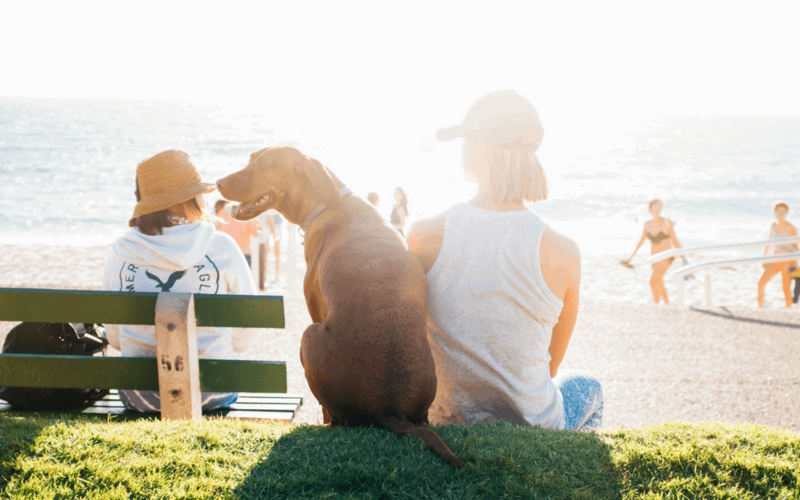 It walks you through everything you need to do from the moment you decide to move to Australia right through to getting settled in your new home. Take as much stress out of the move as possible and let me walk you through all of the steps. Is it easy to move to Australia from the UK? How can I emigrate to Australia? Where do you want to wake up next year? I won’t lie – there is work involved and it can feel scary and daunting. But my logic is that anything worth doing in life takes effort, otherwise everyone would be doing it. Moving to Australia is just a house move to somewhere further away with a few extra bits of admin.There is a certain process you need to follow to get here though, and this post walks you through what you need to do to move to Australia and the steps you need to take. There are so many reasons why emigrating to Australia might be right for you. Are you looking for better weather, an outdoor lifestyle for your kids, a new adventure, travel opportunities in a different part of the world, a bigger house, more space? If these sound like the type of major life changes you’re looking for, emigrating to Australia might be for you. If you’ve decided you want to move to Australia, read on to find out how. 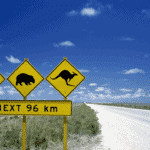 Follow these easy steps to moving to Australia and begin your emigration journey. The government website should be your first port of call to see which visa lists include your occupation. Don’t look on any other sites for this information as there is a good chance other sites are out of date. When you know that your occupation is in demand in Australia, the next step is to speak to a reliable migration agent. A migration agent will be able to confirm that you are eligible. (Check out this post about reasons why I recommend using a migration agent). You will find lots of useful contacts on my trusted experts page and my resources page. 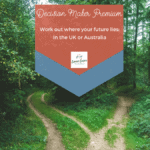 Across these two pages you will find all of the help you need to make your move to Australia a reality. Pop over to look at those two pages to find a migration agent (read some reviews of the agent I recommend here), insurance experts, and a currency firm to move your money. You might be wondering: how easy is it to move to Australia from the UK? It can look complicated when you look on the government website. The above graphic breaks it down into six easy steps. Moving to Australia does take more than these six steps though: it takes commitment, a positive mindset and money. But if you break it down, you can simplify everything and stop the whole thing from feeling overwhelming. 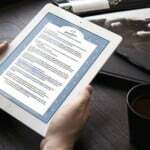 Chunk the tasks down and take it step-by-step, like you would with any project. If you are wondering how to emigrate to Australia from the UK, follow this list below. 1) Check if you’re eligible to move to Australia by checking the government website and speaking to a reliable migration agent (I recommend Veronika from Sort Out My Visa who works with me on my site) and check that you CAN move to Australia. (Read some reviews about Veronika here). This is the single most important piece of advice. Until you know you CAN move to Australia, there is no point going any further. One of the most common questions I’m asked is: is it easy to move to Australia? The answer is it is getting harder and harder to move to Australia, so just because you have a skilled occupation and you want to move, it doesn’t mean you are on the list of skills they want over here or that you meet all of the requirements for age, health, work experience and qualifications. It isn’t easy, so getting the right professionals on board makes a huge difference. 2) Work out whether you can afford to make the move. Look at the costs of moving to Australia – visas, flights, shipping, hire cars, temporary accommodation, moving costs to Australia like selling your home etc. – and factor in some costs for setting up your new life in Australia (buying cars, rent payments, living costs to keep you going until you find a job…) and look at the value of your assets to see if you can fund the move. There are a lot of costs of moving to Australia. 3) Decide to make the move and take action. This is the biggest and most difficult step of all. But unless you take action towards your dream, it will never be your reality. 4) Close down your life in the UK and research and plan your new life in Australia. 5) Move! Get on that plane and move to Australia. 6) Start your new life in Australia. Get through the Australia-side admin, and start living the life of your dreams Down Under. Yep, you really can make it happen by following these easy steps to moving to Australia. Stop over-complicating things because that will put you off ever saying ‘yes’ to your dream. It’s like someone showing you a wreck of a house and telling you to renovate it into a stunning mansion when you have no idea about house renovations. Without a clear strategy in place and some support, you would probably walk away from that challenge! 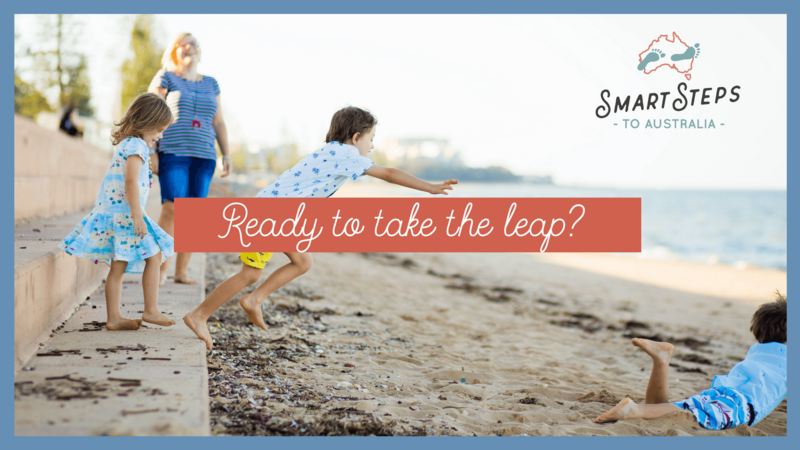 Emigrating to Australia is the same – it feels like such a big task to take on – especially when you have kids to think about – but if you have a plan and some support, you can work through it stage-by-stage and learn as you go. 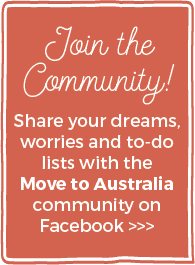 Stop wondering: ‘how can I emigrate to Australia?’ My website and Facebook group are here to help you work out how to move to Australia, so you aren’t doing it alone anymore. If you’re looking for a moving to Australia from the UK checklist, check out my Ultimate Emigration Checklist. Where do you want spend your future? Think about where you want to be in one year, in five years, in ten years. If you need any help planning your future, check out this post about goal setting. It all starts with a simple decision to say ‘yes’ to the adventure 🙂 Are you ready to take the leap? Visit my Trusted Experts page now! 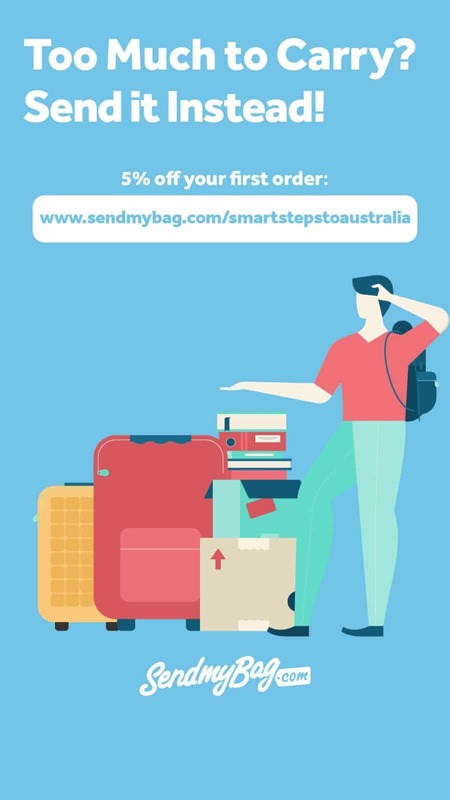 If you enjoyed my post about six easy steps to move to Australia, you might also enjoy reading this post of unexpected side effects of moving abroad.